Another The End of The World Year is behind us and it is time for my annual “High Tech Worst Manager of the Year” contest. Fortunately, a single contestant has been enrolled to the competition in 2012. And of course he won – again – hands down! Ladies and gentlemen: the winner – Jolly Chen, Cloudera, CA – the winner in the category of “The Worst Boss” for 2 years straight! I am wondering why even being so close to a noble elephants (Hadoop and all) doesn’t help to improve the winner’s jolly personality? 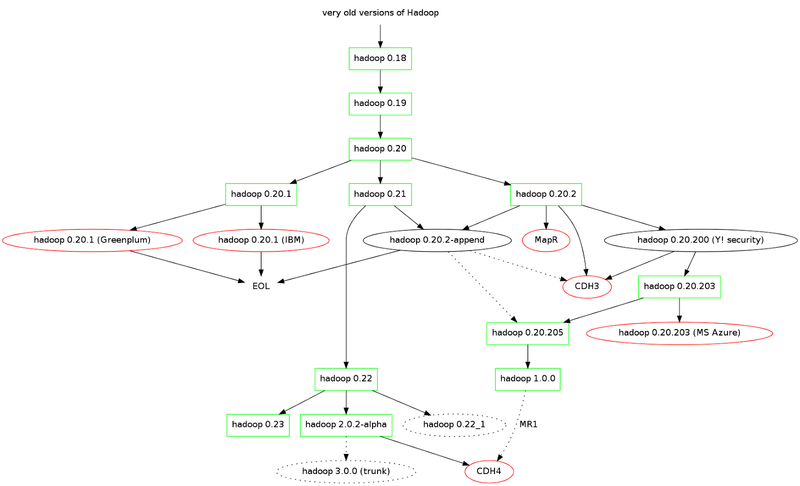 What you wanted to know about Hadoop, but were too afraid to ask: genealogy of elephants (New Year 2013). As you can see there are quite a bit of changes in the tree. Say, CDH4 looks like a child of promiscuous parents – not for the first time, apparently – as it inherits characteristics of H1 and H2 at the same time (MR1 if you wondering); and some other changes as well. Ladies and gentlemen: Genealogy of Elephants II. 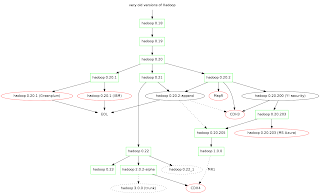 Author DrCosPosted on January 5, 2013 January 17, 2017 Categories genealogy of hadoop, hadoop1 Comment on What you wanted to know about Hadoop, but were too afraid to ask: genealogy of elephants (New Year 2013).